For the first time, see the unseen in PARANORMAL ACTIVITY: THE GHOST DIMENSION – the horrifying conclusion to the Paranormal Activity films. 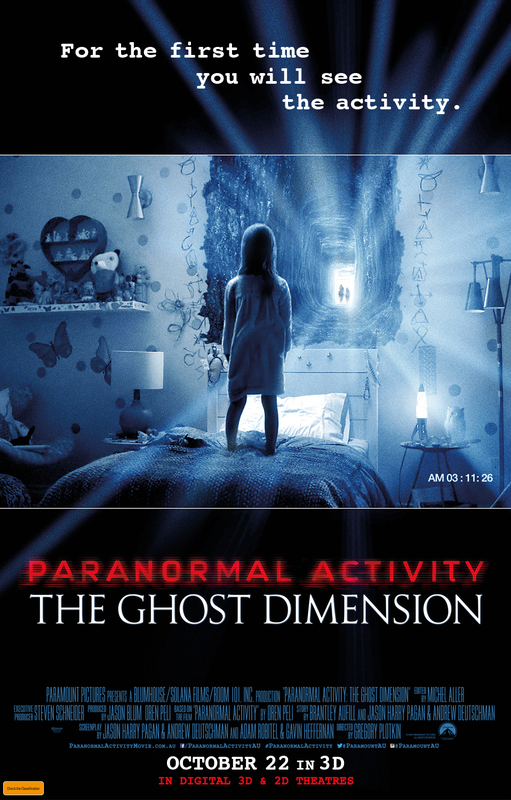 To celebrate the release of PARANORMAL ACTIVITY: THE GHOST DIMENSION we are giving you the chance to win 1 of 5 prize packs which include tickets to the film, phone case, self stirring mug and photosensitive T-Shirt. To go in the draw, all you have to do is punch in your details below and hit submit. It couldn’t be any easier to win. Thanks so much for the great comps you have, I love them and the prizes are amazing.